People who live near factory farms can't breathe. Toxins in the air from these massive industrial complexes are severely impacting lives because enormous factory farms prioritize high production at fast speeds over the welfare of humans and other animals. Human impacts include health problems from asthma to depression. Ammonia comes from waste disposal and can travel over 300 miles in the air. When it enters the human body it produces ammonium hydroxide, a corrosive chemical that damages the body's very cells. These poisons produced by bacteria from animal carcass can cause chronic breathing problems even in small doses. 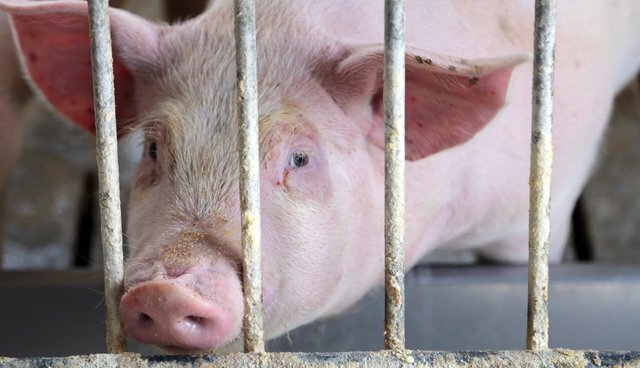 Hydrogen sulfide is a gas that comes from manure-processing lagoons at hog factory farms and has been proven to cause flu-like symptoms, brain damage and death. Beside simply being disgusting to breathe, "particulate matter" that comes from massive factory farms can cause bronchitis and asthma, as well as heart attacks and premature death in people with heart or lung disease. It's made up of tiny pieces of chemicals, dirt and dust that can enter the lungs through the mouth and nose. Carbon dioxide is created when manure decomposes. Overexposure to CO2 causes headaches, dizziness, impaired hearing, nausea and loss of consciousness. Now, some people who can't get a breath of fresh air are starting to take a stand in court. Some lawsuits have been successful in the past, but there is still a long way to go from Bush-era free passes given to these agribusinesses when it comes to public accountability. The latest case comes from Shoals, North Carolina, where Earthjustice, a non-profit environmental law organization, filed a lawsuit against the Environmental Protection Agency to find out exactly what these farms are putting in the air, the Winston-Salem Journal reports. A factory farm capable of housing 100,000 chickens moved in next door to 30-year resident Terry Marshall two years ago, and now he's suffering from nausea every time he steps outside. "It makes you nauseous. It chases you inside. You can't plan your life around anything you do outside," Marshall said at a news conference on Wednesday. "You can't enjoy a cup of coffee on your back deck." 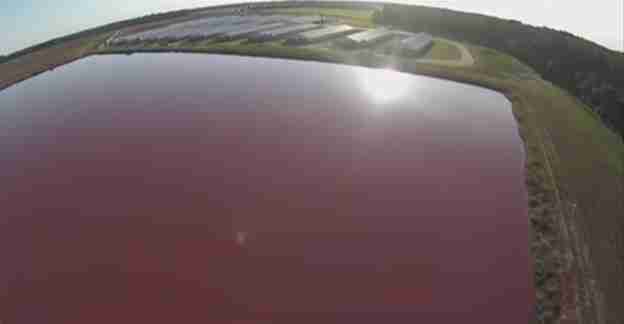 Drone footage of toxic lakes in North Carolina released in December 2014 has been watched over 3 million times, and over 400 neighbors of these monstrous cesspools have filed 25 lawsuits against Smithfield Foods, which sprays toxins from hog farms into the air over nearby fields. Factory farming hurts everyone in big and small ways. 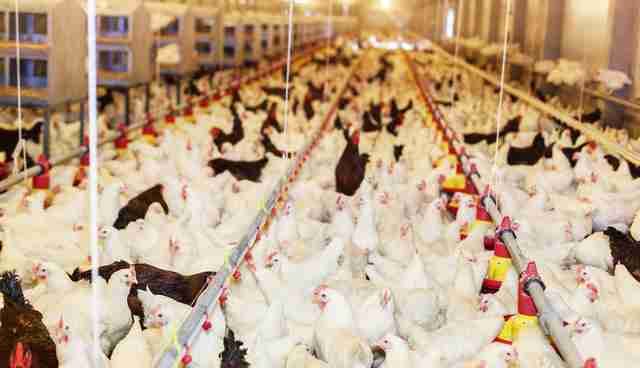 Learn how you can cut down on supporting factory farms here.